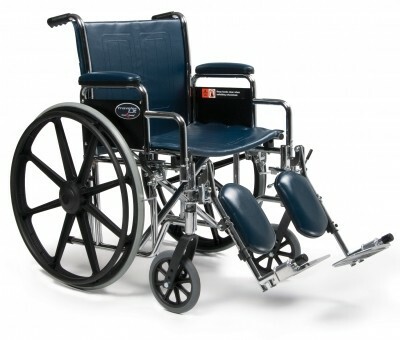 The Traveler SE incorporates the legendary Everest & Jennings® wheelchair frame with saddle-joint tubular construction and the latest industry standard front rigging. 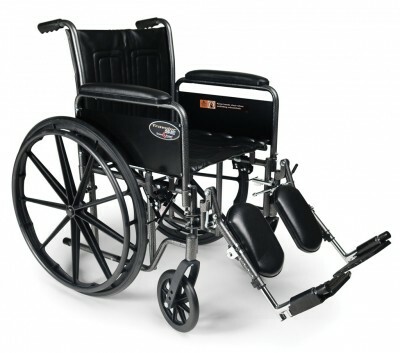 This wheelchair comes in a hammer tone finish and provides the most effective combination K0001/K0002 wheelchair available.Features• Black vinyl upholstery• Chart pocket on back• “Tool Free” adjustable front rigging• Hammer tone paint provides a long lasting and durable finish• Industry compatible front rigging• Two position axle and caster fork provide 2"; seat height and adjustment• Maximum Weight Capacity 250 lb – EVENLY DISTRIBUTED• Meets Medicare code K0001 and K0002WarrantyOne (1) year limited warranty* Custom color upholstery program is available for the Traveler® SE, HD, or HTC Series. 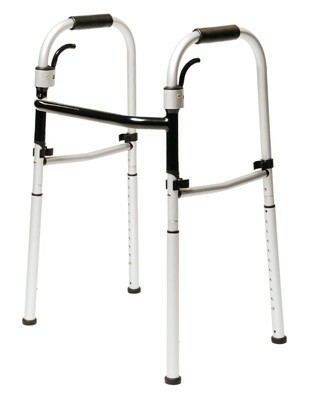 Minimum order quantities may apply.